In case you missed it, and don't we all wish we had, over the past twelve months or so we were subjected to the shitshow that was the US Presidential Election. Amongst the scandals and constant vitriol were even claims that Russia was interfering to which Putin reportedly said - “Does anyone seriously think Russia can somehow influence the American people’s choice?” To that I say yes, but not in relation to politics. I am referring to the Russian brand Hobo and Sailor. 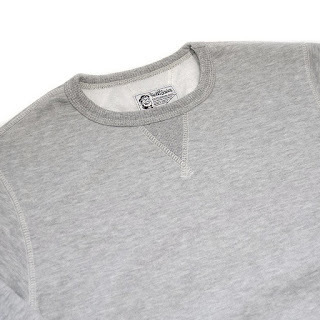 "We create simple and functional things, based on authentic sports and workwear analogues." 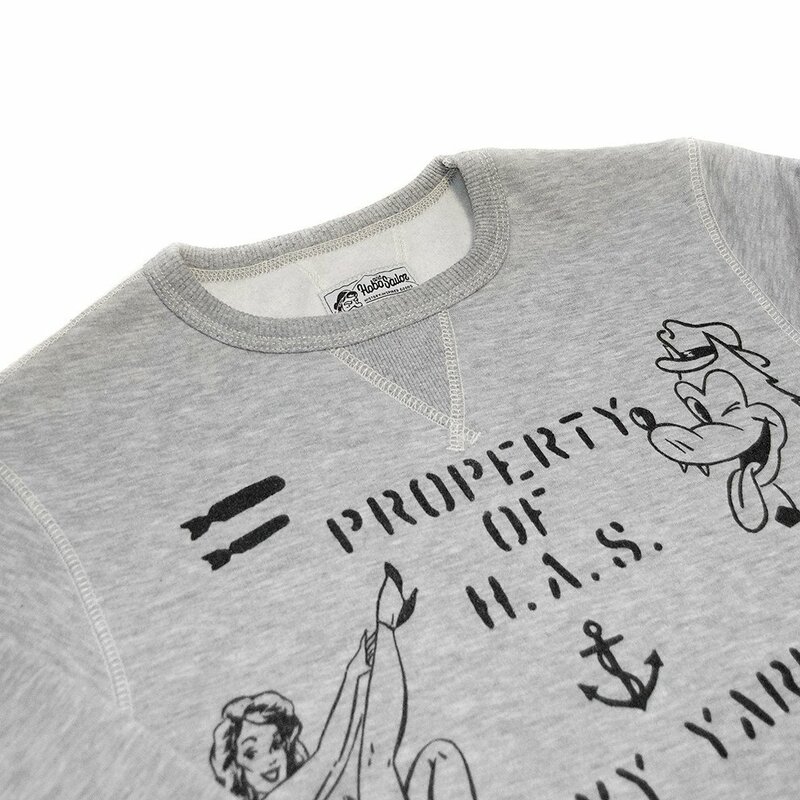 Now in their fifth year the brand continue to produce limited runs of sweatshirts and t-shirts featuring 20th Century military and historical inspired artwork. I've been emailing them probing for info on any forthcoming releases for the best part of a year. To their credit (thank you for your patience Sveta) they always responded courteously and with the promise of details nearer the time. Well that time is now, and it even coincided with my birthday. Anyone who knows me can tell you I'm always searching for the perfect sweatshirt. 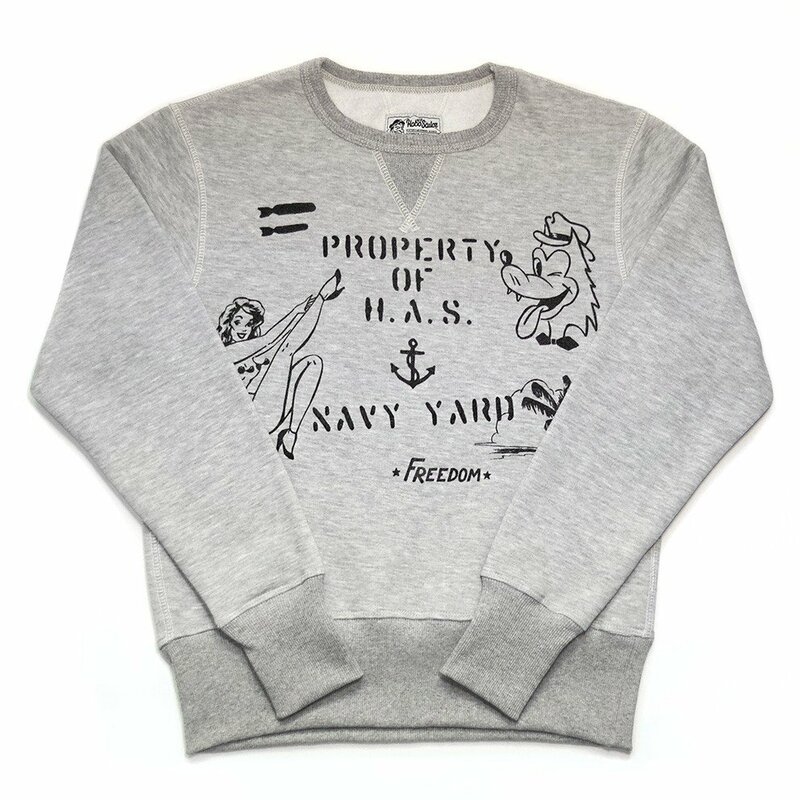 Hobo and Sailor could well have just released it in the form of their Basic sweatshirt. But first to the Smitty Sweatshirt - A classic regular fit sweatshirt made of soft melange fabric, a tribute to hand drawn sweatshirts of the 1930s. 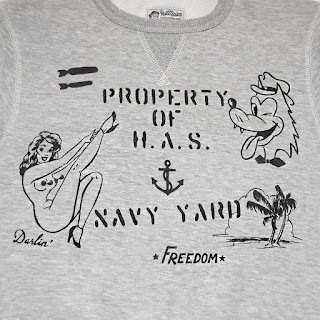 Naval graphics are particular dear to me with my grandfather having served (Commander) and my brother currently serving (CPO). 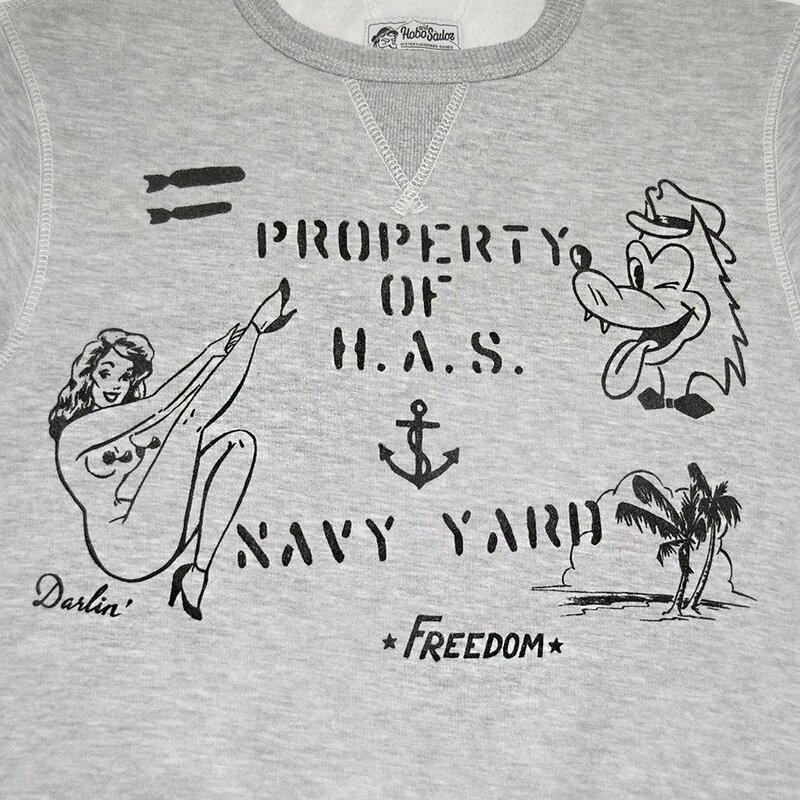 Now to what could be my future favourite sweatshirt. 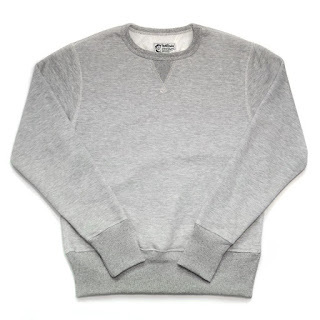 It's always been my opinion that a plain grey sweatshirt, especially with a good pair of denim, makes for the perfect casual outfit. The Basic Sweatshirt is plain (that's to say no graphics) with a regular fit and wide 40s style cuffs and waistband. Something I absolutely admire about Hobo and Sailor is their attention to historical detail, quality of the materials and finishing and remarkably competitive pricing. This puts them top of my list amongst brands like The Real McCoys and Nigel Cabourn who are producing items in the same likeness but asking up to three times the price. Even with shipping costs from Russian (or the Ukraine depending on the item) you feel like you're getting an amazing deal, and I can tell you from experience that you absolutely are. I've been wearing their Indian Warrior sweatshirt for over a year and it's still got it's shape, soft fleece interior and rich black colour. I'm so glad to see new stuff from these guys and look forward to making my next purchase. Mark my words you will see more people recognising Hobo and Sailor as they continue to produce outstanding authentic functional sportswear for everyday use.